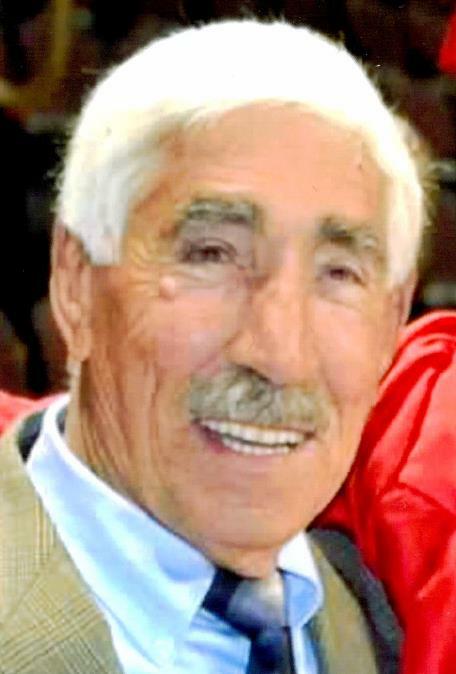 Scarborough, ME - Angelo “Tony” Lacognata, 89, passed away on Monday, April 17, 2017, Patriot’s Day, at his home surrounded by his family, just one month shy of his 90th birthday. Upon graduating from high school, he joined the Navy in 1944, and was stationed in Okinawa. Shortly after being honorably discharged from the Navy, he opted to re-enlist in the Marines, and was stationed in the Philippines. After another honorable discharge from the Marines, he again opted to re-enlist, this time in the Army, and was stationed in Frankfurt, Germany with the Military Police, guarding the Allied High Command Headquarters. Upon leaving the military, he enrolled at the University of Buffalo, from which he graduated in 1957 with a degree in Sociology. He earned his Master’s Degree from the University of Rochester, followed by his Doctorate degree from Michigan State. He was a college professor, first at University of Maine Orono for 1 year, in 1964, then at Gorham State College, UMPG, and USM, until his retirement in 1989. Relatives and friends are invited to attend a memorial visitation from 4 – 6 p.m. on Monday, April 24, 2017 at the Wilde Memorial Chapel at Evergreen Cemetery, 672 Stevens Ave., Portland.